Comments: This bold textured plant gives a tropical effect in the landscape. 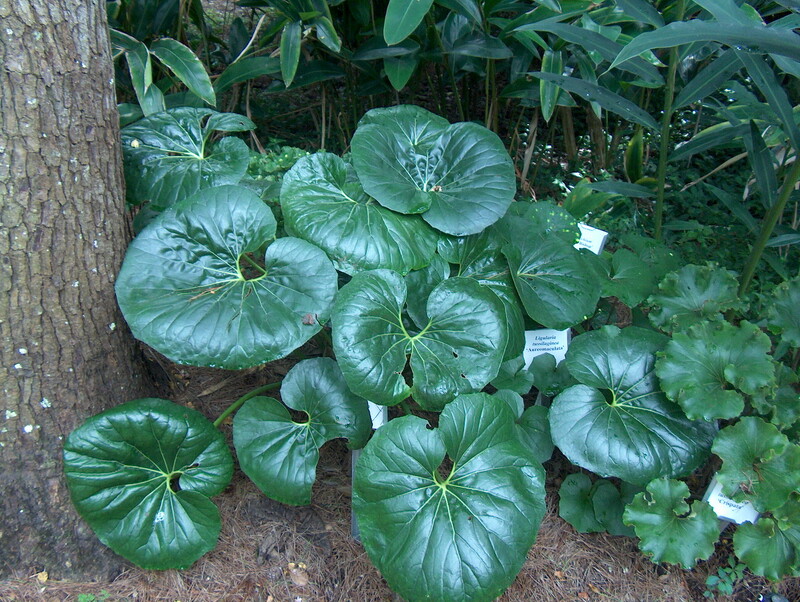 It can survive a temperature of 0, but likes it above 20 degrees F. in order to retain its evergreen state. It is great in containers in areas where it is too cold for it to survive the winter.